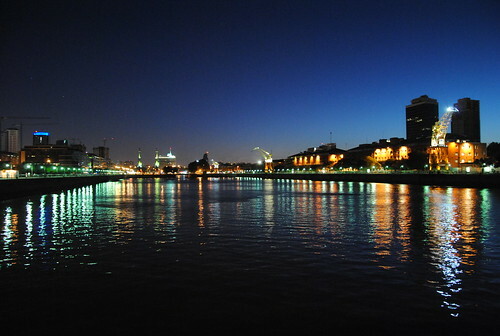 This exclusive club overlooking the river and port is the party spot for the Buenos Aires rich and famous. Their great cocktail menu, dinning space and multiple bars and dance floors guarantee a good time for those looking to party in style. Rumi is a Belgrano centered nightclub with a great atmosphere and a high end crowd. On Wednesdays they play 80’s music and reggeton, Thursdays they host their Elegant Night party, playing 70’s music and offering live shows and screenings, Fridays are classic dance music and Saturdays offer latin music and slow dances. This popular club in Palermo offers two dance floors, a VIP lounge and some great house and electronica. This good looking crowd gets pumping to the very loud music brought by local and international DJ’s! There was a time when Buenos Aires was a city of wealth and opulence. Although the economic woes of the country have changed that, reminders of other more fortunate times are spread out through the city for us to marvel at. 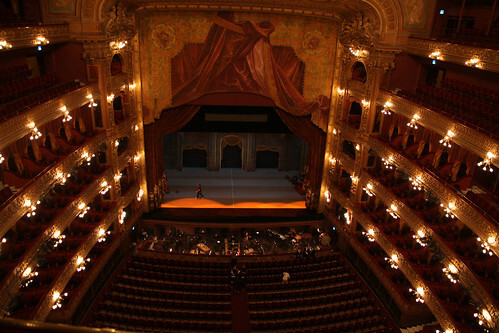 One of the most magnificent upstanding examples of the city’s past prosperity is the prestigious Teatro Colón. This beautiful opera house was inaugurated in 1908. Today, more than a hundred years later, it is still one of the worlds most distinguished theaters, showing internationally renowned acts. Tours of the theatre are available every day from 9am-3.45pm and are a great way to learn more about the history of the building, the architecture and the operas, ballets and orchestras which have graced the theatre’s stage. Additionally, we highly recommend you to experience one of the productions that are being staged during your visit. 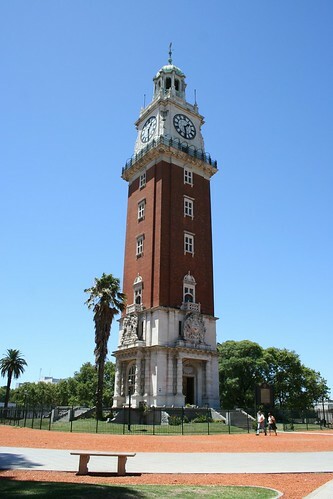 Retiro: This emblematic neighborhood which features the impressive retiro train station, the Torre Monumental, the beautiful Plaza San Martin with its Malvinas monument, and the deco Cavanah building, will charm architecture lovers. In the evening go to La Cigale for drinks and some live acoustic music from 11pm onwards. 25 de Mayo 597, downtown. Cash only. Happy hour until 10pm. Teatro Colon: A synonym of magnificence, the Teatro Colón is one of the most beautiful and prestigious buildings of the city. Internationally recognized for its acoustics and architecture, this is a place to see and experience. Tours of the theatre are available every day from 9am-3.45pm. We also recommend you see one of the productions being staged. Later on, you can also check out one of the free music concerts offered by la Casa de la Cultura on Tuesdays. Featuring tango singer Gladys Reccia this week. Or for jazz lovers, the swing summit brings together some of Argentinas best jazz musicians at 9.30pm in Notorious. Rufino de Elizalde 2831, Palermo. If want to learn how to make a proper Argentine asado, take a coking class with Teresita! Starting at 11 am, she will take you to the butcher shop to show you the different cuts, then guide you through the preparation of asado and empanadas, and afterwards, allow you to enjoy the meal! After you’ve taken a ‘siesta’ to recover from lunch, head to the Coliseo Theatre for the opening of the Ushuaia International Classical Music Festival featuring the Moscow Symphonica. 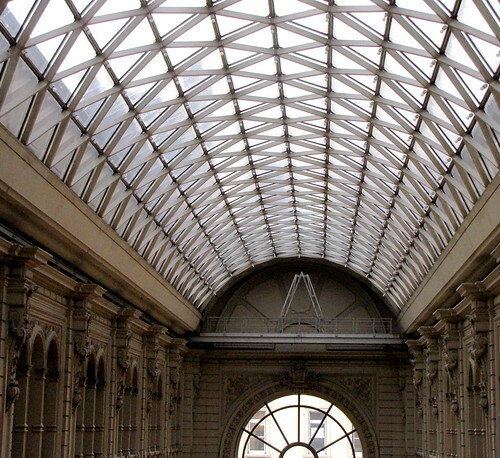 One of the most beautiful places to do shopping in Buenos Aires is the upscale Galeria Pacifico, well worth visiting for its aesthetic and architectural appeal. You can ask for audio-guides at the information center on Mondays through Fridays from 11.30am-4.30pm. Later on you can check out a homage to the muralists of the Galeria by renowned artist Julio Le Park which is being exhibited at the Centro Cultural Borges. Art lovers should definitely take the Calle Arroyo tours offered every Wednesday and Friday from 3.30pm-5.00pm. The walk begins at the Spanish American Art Museum and takes you through antique stores, design houses, galleries and historic buildings. Later on in the evening, an exiting alternative, is the acrobatic show “Tiempos que corren” starting at 9pm. Sunny Saturdays are a great day to take a bike tour through the city. Bike your way through the lakes, the north side, the south side or the outskirts of the city and find out more about the city whilst enjoying the fresh air! Feria de matadors: This local traditional fair reopens this Sunday and displays local folklore, gaucho competitions and great typical food! We recommend you go before 1.30pm as that is when the music starts. 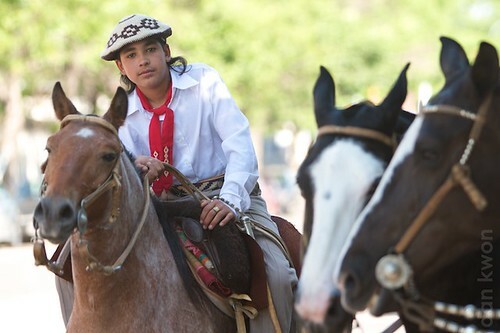 To be on the safe side, we suggest you plan your transportation with the hotel beforehand as to get to the fair you must go through some of Buenos AIres less charming areas. Those of us lucky enough to be in Buenos Aires this weekend will be able to enjoy an atipical Saturday all nighter insipired by the french ¨Nuit Blanche.¨ Free activities ranging from 3D mapping proyections, to live music, outdoor theatre, contemporary dance, acrobats, angels, fireworks and book readings will be held in the landmarks of Buenos Aires throught the whole night from 7pm to 7am in the morning. Highlights to check out include a 3D mapping in the recoleta cementary, theatre in Palacio Barolo and the Botanical Gardens, the Moscu Symphonic Orchestra at the Obelisco, amongst many others that you can check out here. Aditionally, tour buses will be working all night and special promotions will be offered by restaurants, cafes and bars which will extend their opening hours! If you enjoy food as much as we do, and want to try top quality local gourmet delicacies, then you should make sure to stop for dinner at Pura Tierra. The owner and award winning chef, Martín Molteni, offers the best Argentine cuisine using carefully selected seasonal ingredients in this Belgrano centered restaurant. We suggest the lamb, baby goat, stews, and steak mmm! Mon- Sat 8pm to closing. 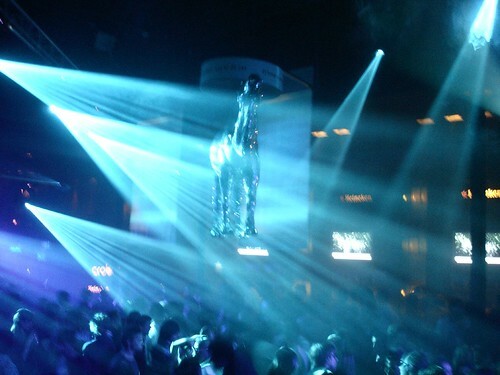 For the past few weeks we have been writing about some of the best nightclubs Buenos Aires has to offer (Buenos Aires Nightlife#1 and Buenos Aires Nightlife #2). However, we figure you came down to South America for a taste of the latin culture too, so we kept that in mind for this weeks nightlife suggestions! Open Fridays, Saturdays, and holiday eves (which means today too!) from 12pm onwards. Another nightclub and dance school that specializes in salsa, bachata and other boisterous options for night time fun! On Fridays and Saturdays, this vivacious dance house hosts its Caribbean nights party which combines a mix of latin rhythms. This centric venue offers a lively and colorful environment where you can move to brazilian tunes and watch professional brazilian dancers do their thing! Another perk of this place is that is has another dance floor with more conventional nightclub music in case you want to switch for a while. 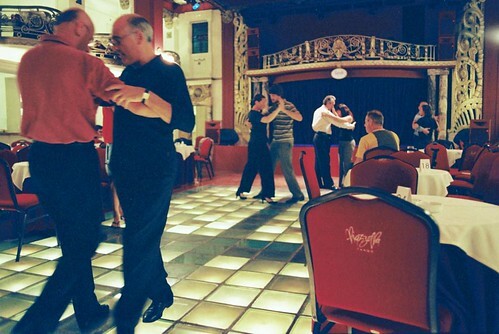 On Fridays at 10.30 pm you can take a lambazouk dance class and then stay to practice the entire night or go for a Brazilian dinner-show on a Wednesday and let the night sweep you off your feet!